With the housing market steadily overcoming the recession dip, selling a home is easier than it used to be. But just because more people are looking doesn’t mean sellers can get lax about their end of the bargain. Home staging is an important element of home sales. And what’s the point of a fresh coat of paint when your house is littered with clutter? Start outside and work your way in. After all, the yard, porch, and entryways are the first things potential buyers see when they enter a house. They’re also the last impression they get of the house before they leave. Store bikes, sports equipment, and garden equipment in the garden or shed. Sweep the driveway, sidewalk, and front porch. Clean up the mudroom to eliminate coats, shoes, school stuff, and accumulated junk mail. Sort the wheat from the chaff. We all own hundreds of items we’ll never use. Take your house room by room, boxing up the items you haven’t used in over a month. If it’s a seasonal item, toss it if you haven’t touched in over a year. If an item has sentimental value, box it up. Give yourself a limit to how many boxes you’ll store in the attic, and stick to it. Trust us, it’ll be easier to stage your home for sale if you’re not tripping over stuff leftover from your college student’s childhood. Out of sight, out of mind. Buyers want to see the potential of a home, not the actuality of living there. After you’ve hauled off home clutter, tuck away the rest of your home items. Box (and label!) infrequently used stuff like bundt pans, china, and guest linens. Tuck items you use daily under counters and in drawers to preserve that fresh, clean home aesthetic. 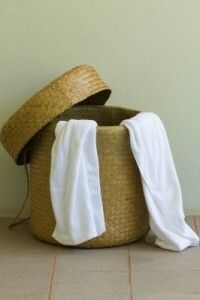 Whether you’re tossing boxes that haven’t seen the light of day in years or decluttering after selling your house, Mr. Junk is here to make your move easier. Call us to haul away furniture, appliances, and junk you no longer need.